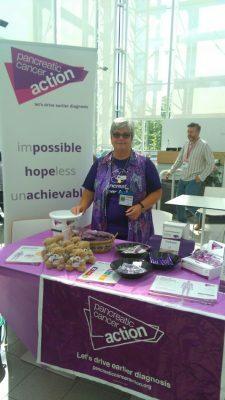 Sandra Francis has been volunteering for us for over five years having lost her beloved husband, Pete, to pancreatic cancer in 2012. He died just 1 year and 2 days after diagnosis. She regularly sets up fundraising and awareness stands in her local area, as well as arranging larger fundraising events. 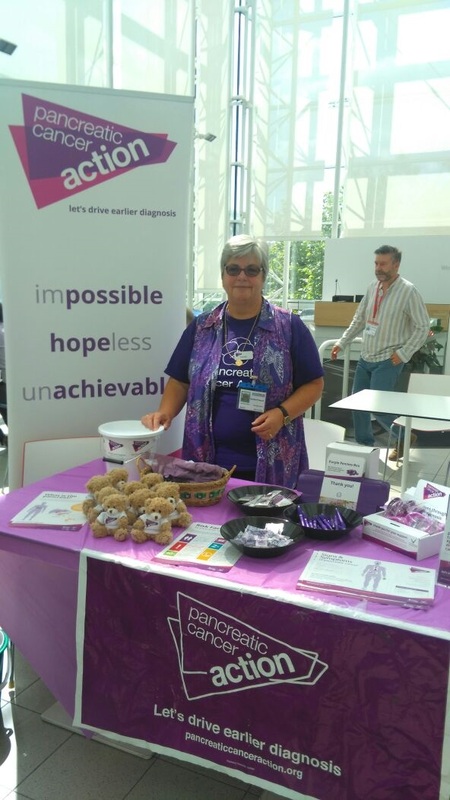 She also supports many other patients and relatives affected by pancreatic cancer, as an admin for Families in Support of Pancreatic Cancer Awareness (FISPCA) Facebook page. “The work that PCA do in raising awareness and hopefully getting earlier diagnosis is amazing.